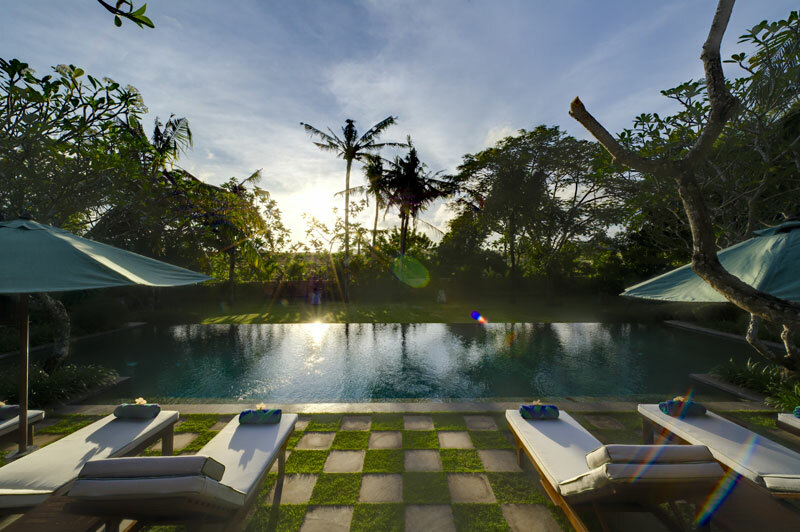 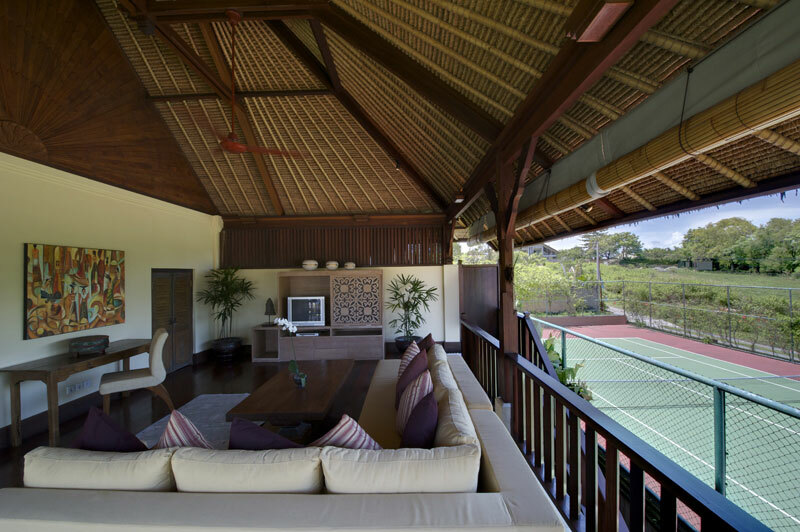 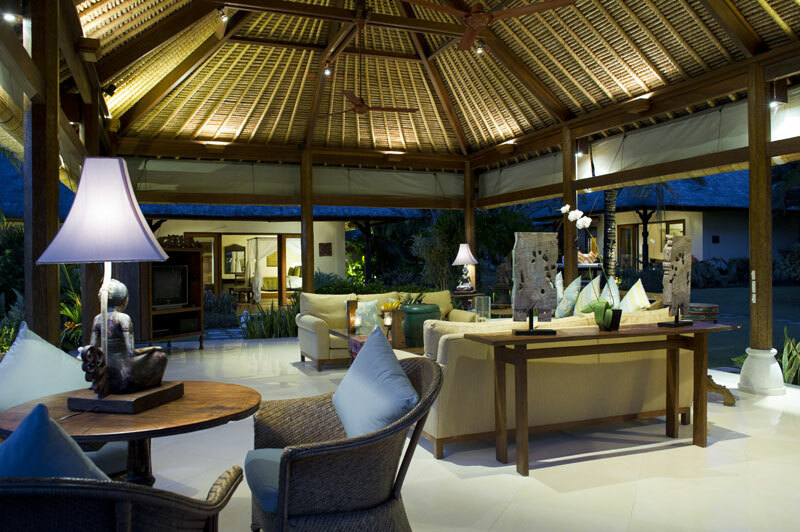 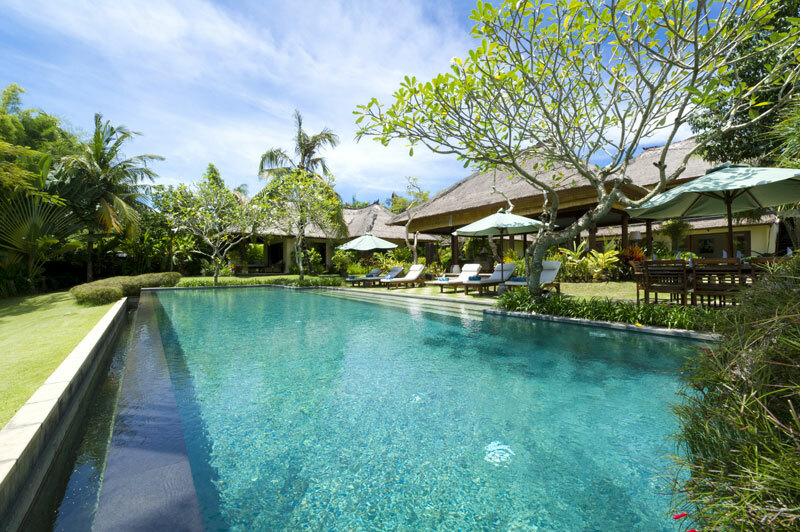 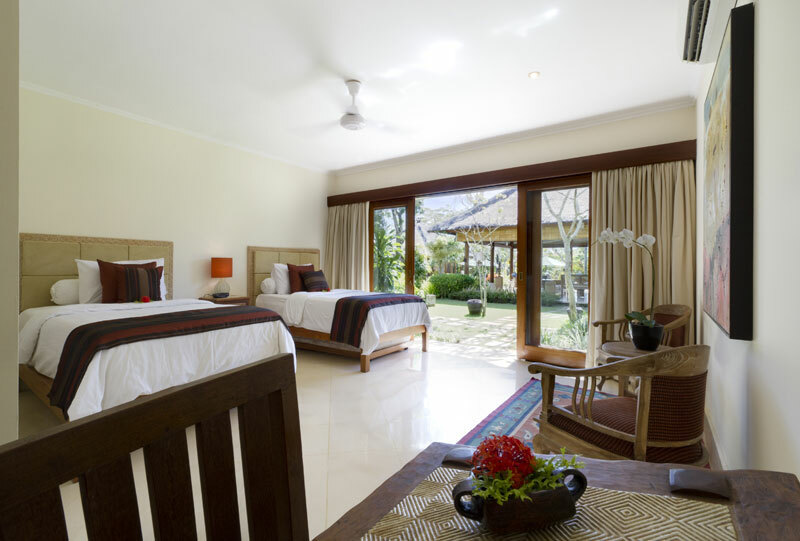 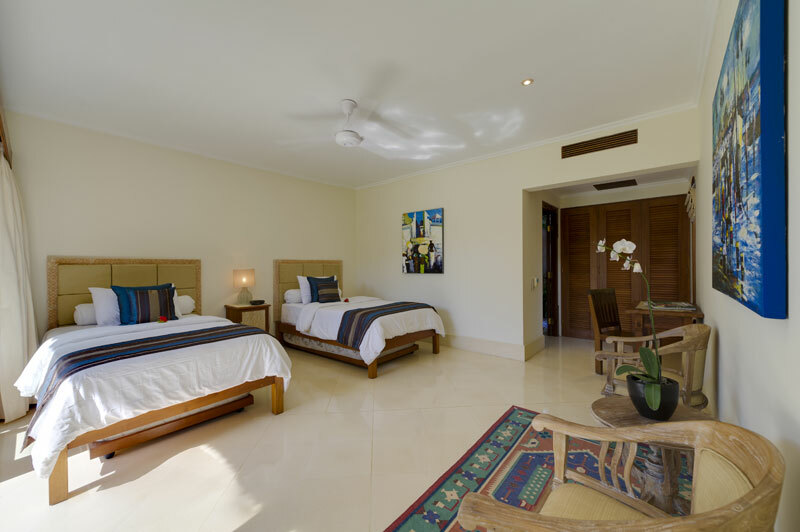 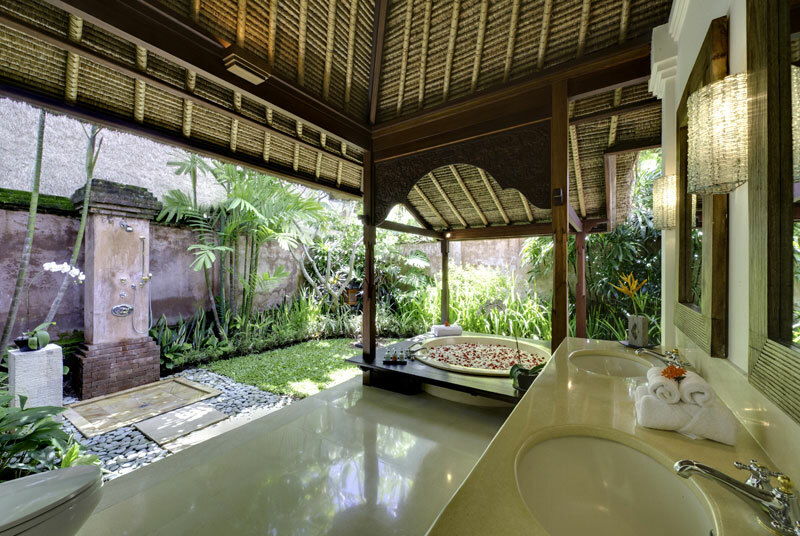 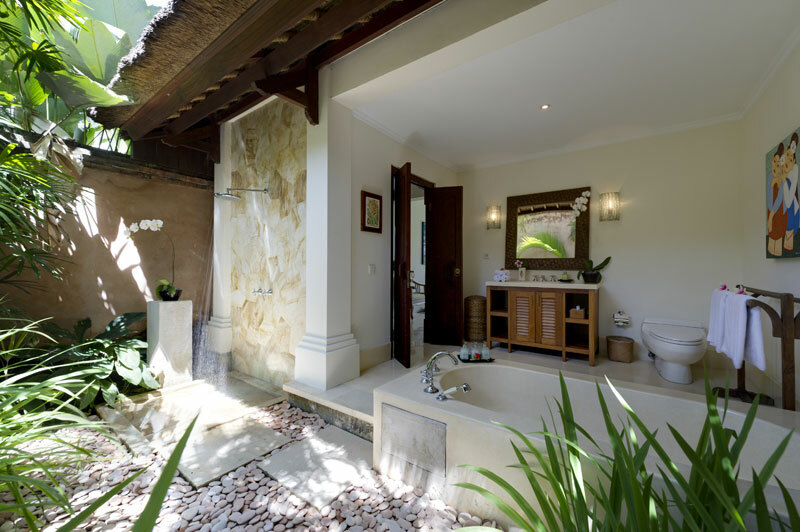 Villa Surya Damai is situated in the peaceful village of Umalas, in the north of the lively area of Seminyak. 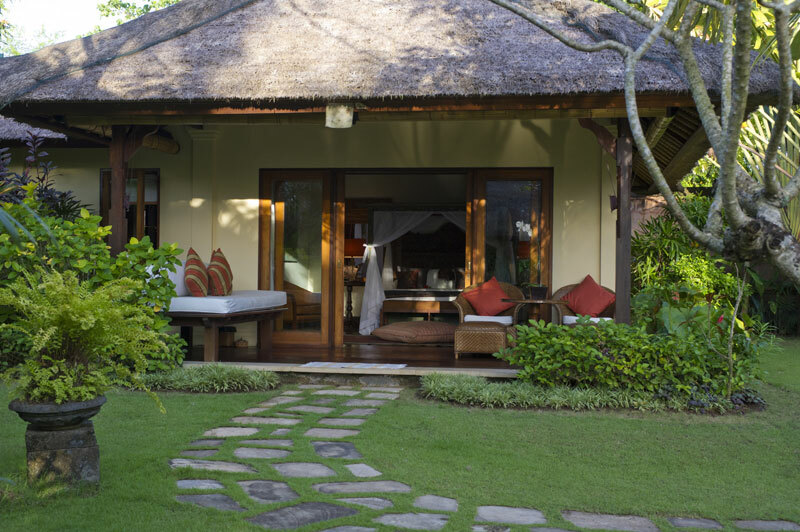 You will find the closest rice fields only a small bridge away from the villa's front door. 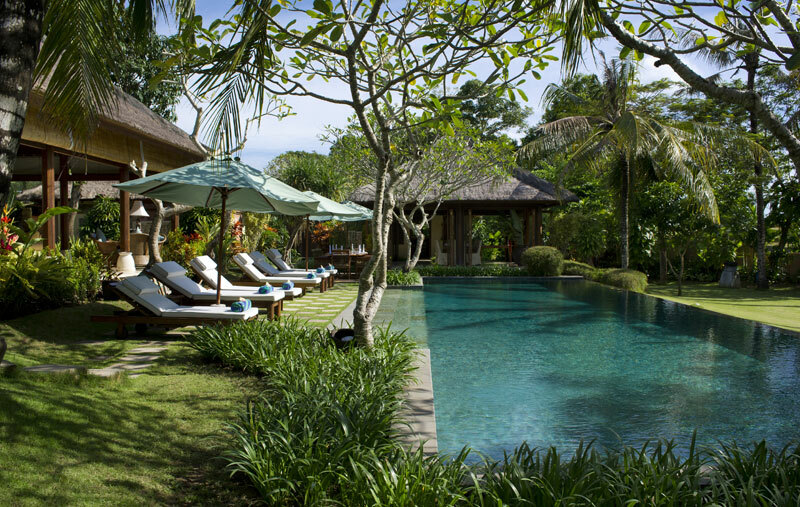 A pleasant 15 minute walk between the farms and rice fields will bring you to the nearest beach, Batubelig. 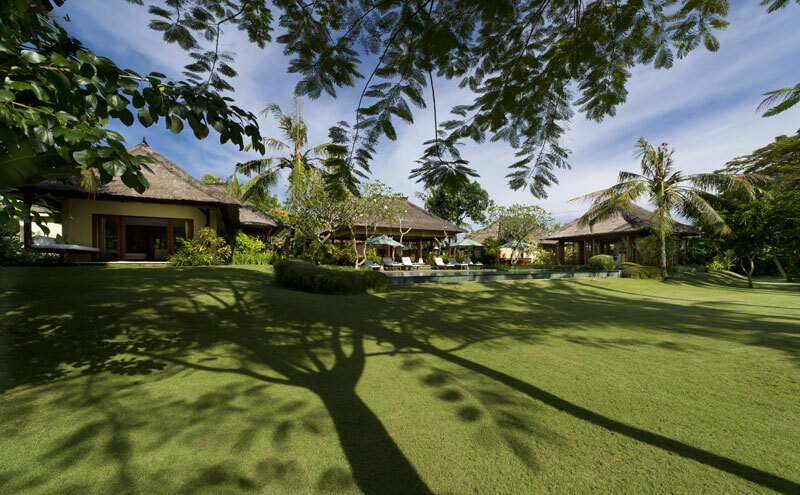 This beautiful black sand beach is ideal for surfing the best waves of the island but has strong currents. 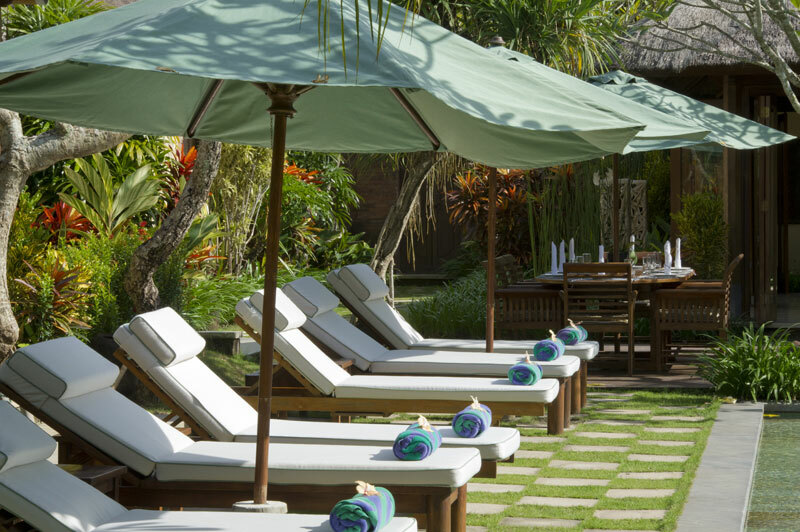 If you are looking for a smoother sea and a golden sand beach, the Legian Beach is only 30 minutes away. 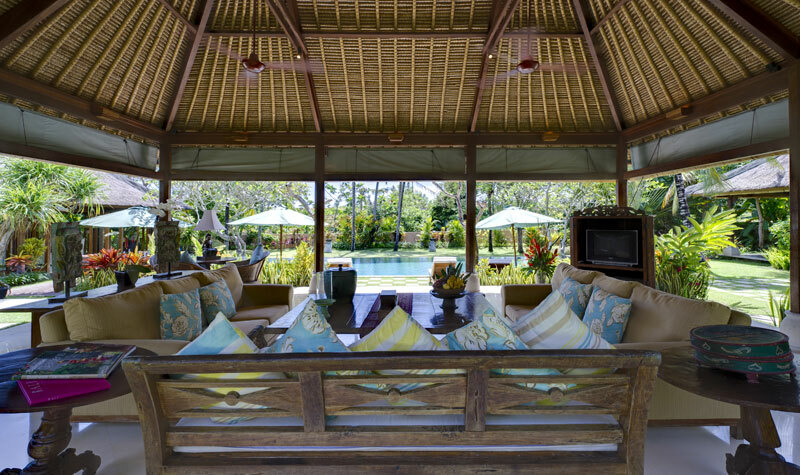 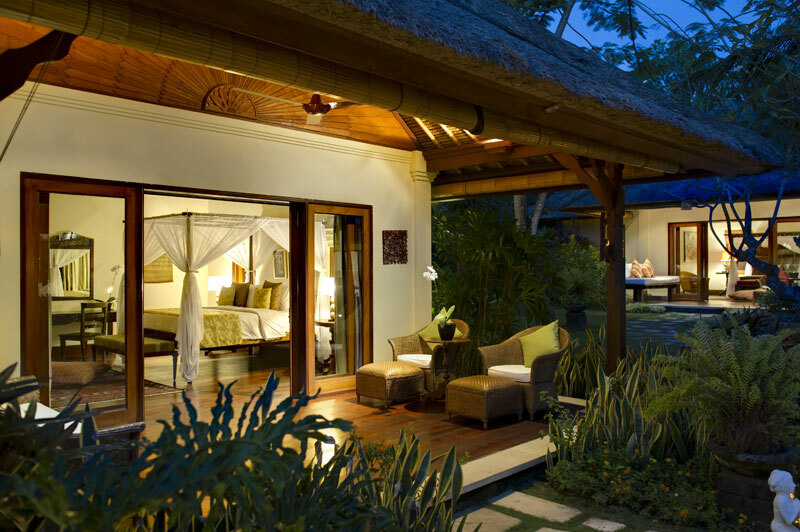 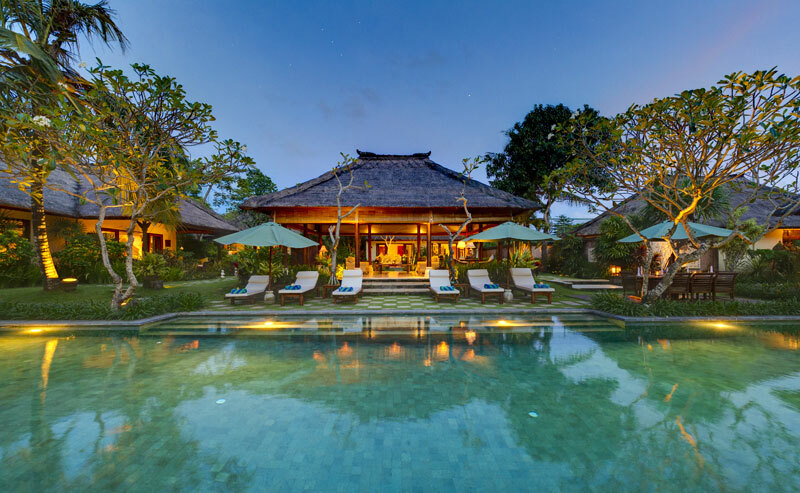 Designed as a traditional Balinese house, villa Surya Damai is spacious with an open living room, a charming thatched roof pavilion with the bedrooms, surrounded by an enchanting garden where the sublime swimming pool lies. 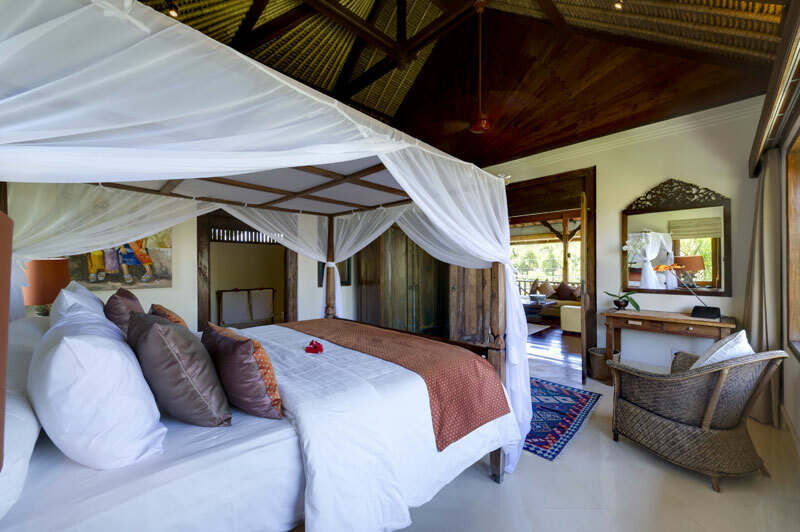 The villa mixes easily colonial elegance with a tropical atmosphere while offering all the modern comfort required for an unforgettable stay. 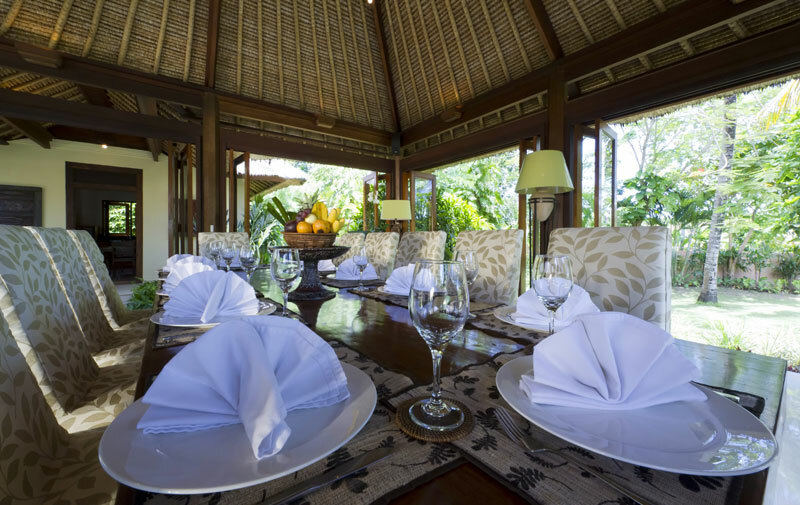 The excellent staff and a chauffeur will be at your disposal to meet all your needs. 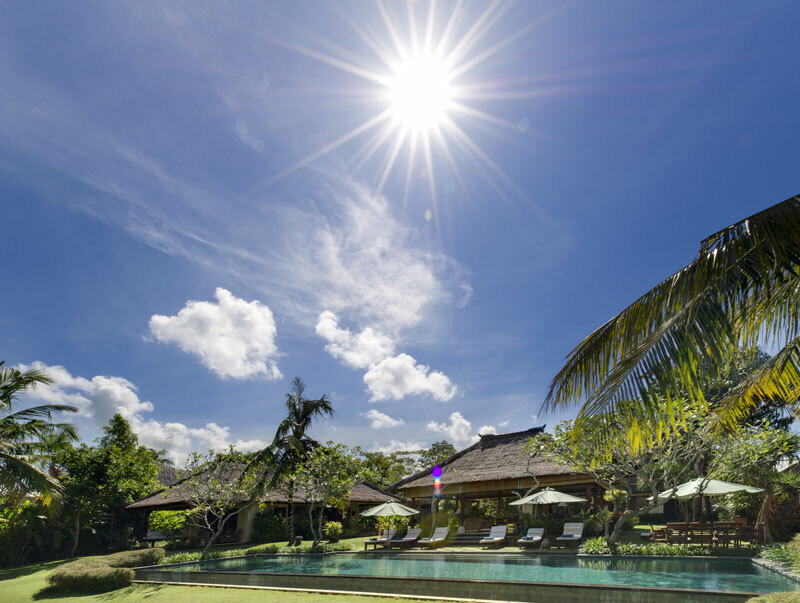 This magnificent villa is ideally located: only 15 minute walk from the closest surf beach and few minutes away by car from the shops and busy nightlife of Seminyak.